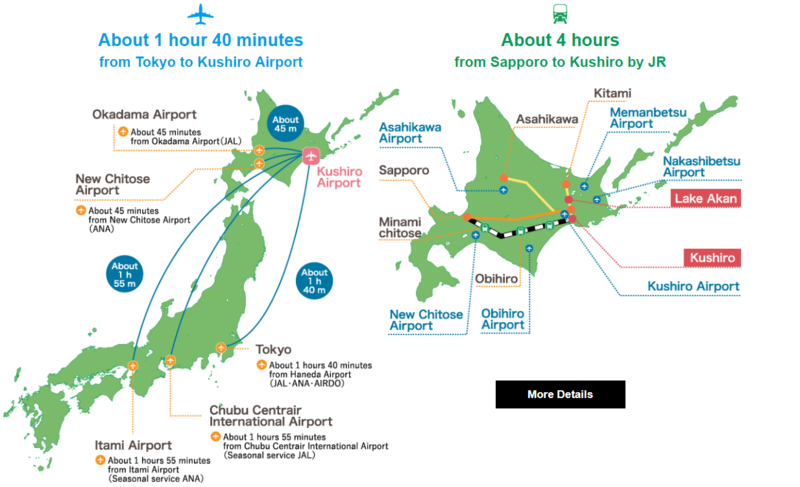 Kushiro Welcomes Visitors to Enjoy Our Tourist Friendly Environment! Kushiro area has abundant attractiveness including great nature like Kushiro Marsh and Lake Akan, Ainu Culture that co-habits with such nature, and food ingredients, which are the blessings of the ocean and mountains nurtured in nature. Providing a stress-free environment, we welcome your visit. Some smartphone apps give you an integrated support for whole activities from visiting restaurants, shops to making payments! 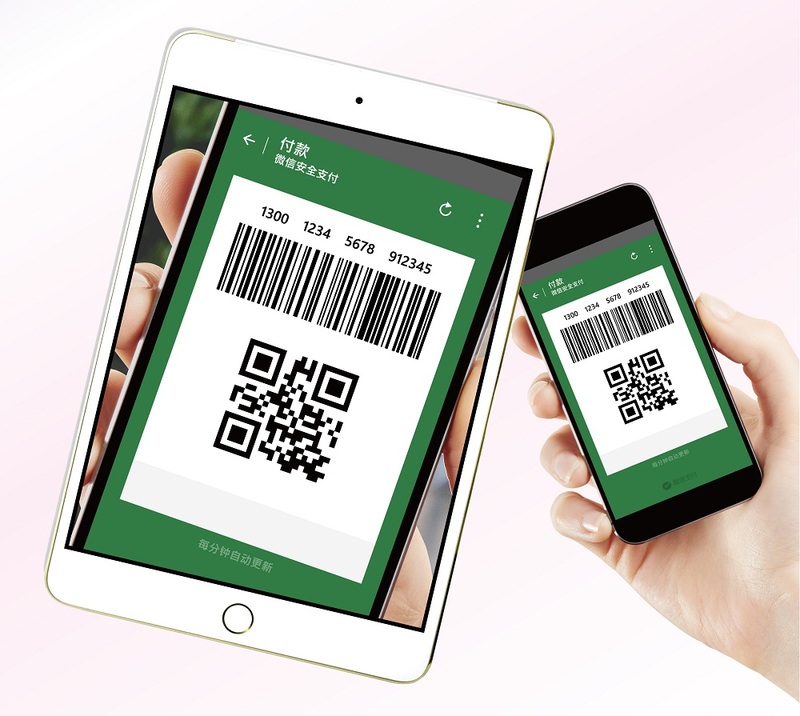 Participating restaurants have menus in multi-languages and are accept orders in these languages, and souvenir stores provide product information in multi-languages, and a payment system using a QR code. Have a good trip using Smartphone apps! You have finally arrived at the town of Kushiro! Kushiro is filled with attractiveness such as great Mother Nature, its unique culture, and blessings of the oceans and mountains. Do you want to know about the charm of the town even more? 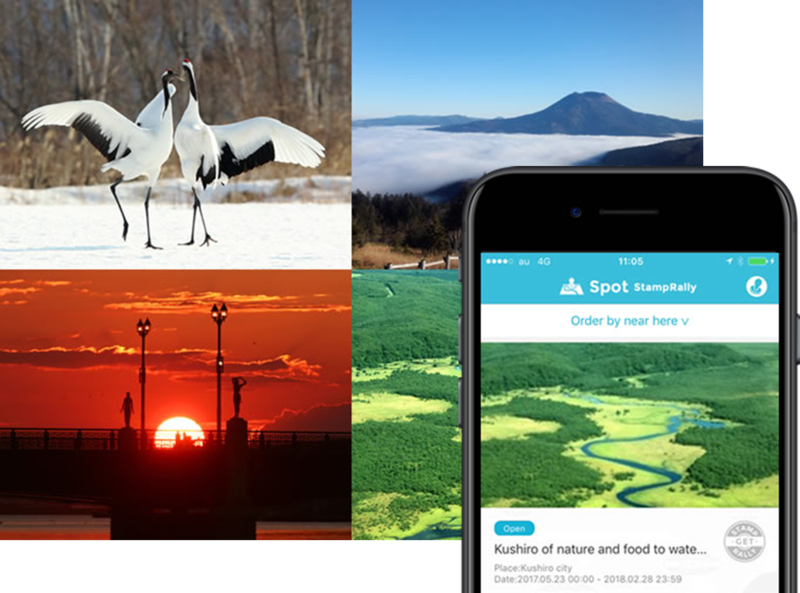 An app called "SpotStamp Rally" will be your guide in multi-languages on your smartphone offering information on stores that serve customers in different languages and tourist spots! You can read these information on recommended walking routes and attractiveness of stores in multiple languages. Download free app from here! 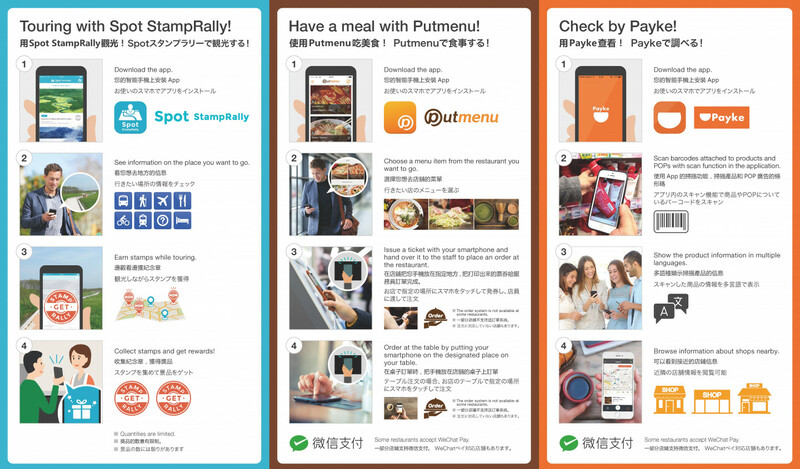 ■	The "multi-lingual smartphone menu" app makes it so easy to order food at a restaurant. Most of restaurants have menus only in Japanese. Many overseas tourists don't know which ones they should order, what food is to be served even they try to order menus in Japanese, or they might not be sure if their orders are accepted. 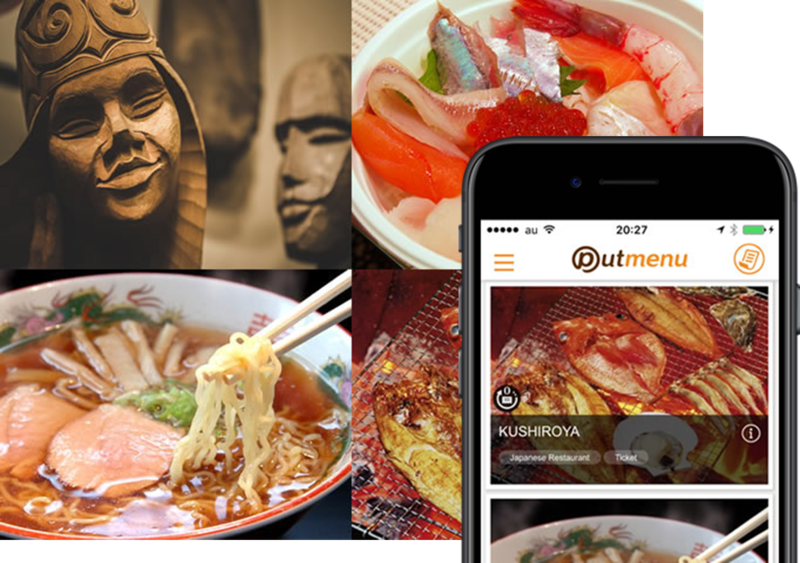 Such stress commonly seen among the tourists will be solved by "Putmenu", a multi-lingual app to place orders to restaurants. It allows the users to view menus in their languages using their smartphone. Now the tourists will find out the things that restaurants cares the most for their dishes, which is something that many tourists wanted to know. ■	"The smartphone app for product information in multi-languages" provides information on souvenirs, etc. Tourists from overseas often have troubles at souvenir stores as their items in a shelf are introduced only in Japanese. There is no way for them to know what the items are for, or what materials or ingredients are used. This smartphone-based multi-lingual app called "Payke" will solve the issues that the tourists could have. The special app in the user's smartphone or the store's tablet displays the product information by reading a barcode. The tourists can enjoy shopping now as they can check the details of the items including the story of the product making. 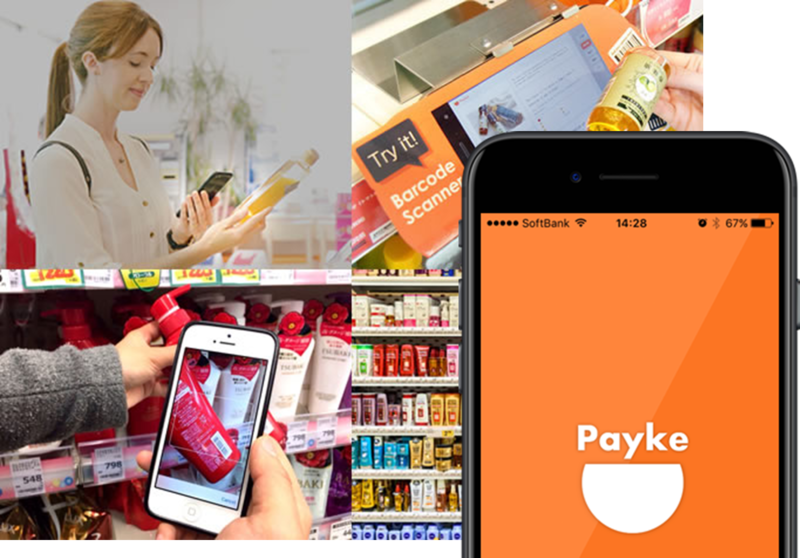 ■	A convenient payment app "Smartphone Payment Service" makes your payment more convenient! They are not sure with unfamiliar Japanese money, the stress when paying with coins, and there will be a long queue behind you at the casher. Such problem of the tourists can be solved with "WeChatPay", a simply payment app using QR code, which is commonly used among Chinese people. ■	How to use Apps!